Each fall, the Photography Committee hosts a weekend at Mt. Baker Lodge to photograph the fall colors September 23-25. The Photography Committee invites you to their annual Mt. Baker fall colors weekend. This casual weekend provides a great venue for photographers to capture fall colors and has become a favorite for our members. We leave the schedule open for you to use the information at Baker Lodge to plan your own local hikes. People will group up at the lodge to determine the day's destination. 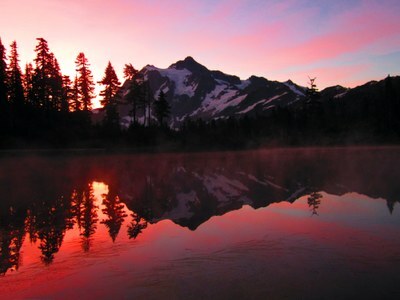 Picture Lake with Mount Shuksan reflection and Artist Point are favorite destinations. 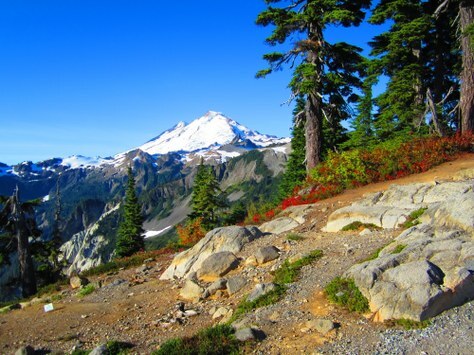 Most trailheads will require Northwest Forest Pass for parking. This activity is open to all (Mountaineers and non-Mountaineers). Once you are registered, be sure to reserve and pay for your spot at Baker Lodge. It fills up fast, so don't delay! Click here to register/pay.